Feature: - 6 different styles per package. 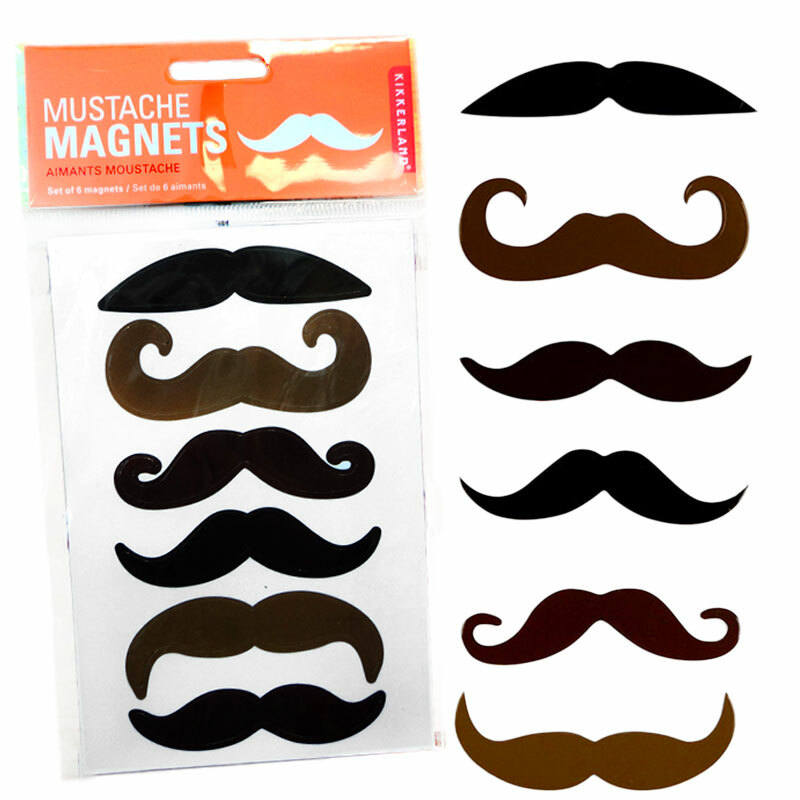 Brown or black vinyl Magnets. Each Mustache is approximately 4" long.